MaryLu Tyndall has added another great nautical historical romance to her impressive fleet. 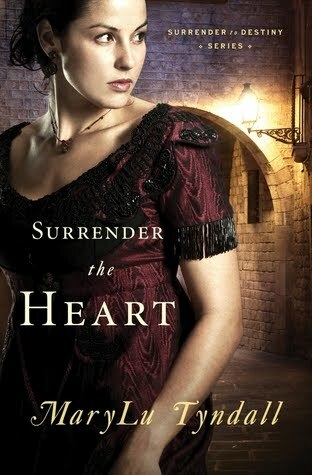 Surrender the Heart, set amidst the backdrop of the War of 1812, had me savoring the adventure, tension and romance between a high-born lady of Baltimore's aristocracy whose fortunes have run out, and a working class man of ambition who initially sees her as a means to an end. Marianne Denton wishes only to care for her sickly mother and little sister. She needs her inheritance money which her marriage to Noah Brenin will unlock. She braves the prospect of a loveless marriage, accepting her fate as an ordinary, plain woman unworthy of love. But she is not without her pride. When Noah acts the cad and leaves their engagement party abruptly to embark on his father's merchantman, she chases after him to give him a piece of her mind. Captain Noah Brenin carries his fate in his cargo hold. 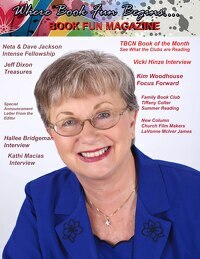 He believes that financial success will liberate him from a family scar. But he has sailed with precious cargo he hasn't bargained for: Marianne has accidentally stowed away. With war brewing between Britain and the United States, peril awaits them at sea. The hand of God awaits, too, poised to turn their fortunes again and shape the course of history, if the cast of eclectic and endearing characters will trust His divine leading. Fast-paced, suspenseful, and resonating with the patriotic virtues of courage, selflessness, and passion for freedom, this book is an authentic portrait of a little-understood but vital part of our history. As rich as the history and research, the romance is not to be undersold. Love born of mutual admiration and genuine character makes this story transcendent. Tompkins Square Park, Manhattan, New York City monument to the General Slocum disaster. The inscription on the side reads: "IN MEMORY OF THOSE WHO LOST THEIR LIVES IN THE DISASTER TO THE STEAMER GENERAL SLOCUM JVNE XV MCMIV"
The inscription on the front reads: "THEY WERE EARTH'S PUREST CHILDREN, YOUNG AND OLD"
photo taken by Erik Edson on November 20, 2007. Reverend Keith Boyer, who grew up in New York City, shares a little-known story about his native town. A Nearly Forgotten New York Story. In the 1950’s I lived on East 6th Street in New York City. While normally taking a bus to school, I occasionally walked following a route that took me through Tompkins Square Park. The park was home to a simple and what appeared to be long-neglected fountain. It was just something to walk by. It wasn’t until 2004 that I learned the fountain had been built as a memorial to the 1,021 New Yorkers who lost their lives on June 15, 1904 in a fire on the excursion ship General Slocum. On that bright sunny day, over 1300 people, mostly women and children who had emigrated from Germany, crowded aboard the ship at the East River’s 3rd street pier in anticipation of a day of fun at the Locust Grove picnic grounds on Long Island. The excursion had become an annual congregational event of St. Mark’s Lutheran Church. Over 1500 tickets had been sold. The church, now long closed, was located on 6th street, my street. The General Slocum was an attractive steam powered side-wheeler. In 1891 it was recognized as one of the finest recreational passenger vessels serving the New York area and was in great demand, but by 1904 it was past its prime. It was equipped with six lifeboats, but due to many coats of paint they were virtually glued to their davits. Over 2000 life jackets were available throughout the ship, but they were filled with cork that had over time turned to powder. When wet they became weights instead of providing buoyancy. The fire hoses on the ship had never been used and their fabric had begun to rot. The ship itself had kept its handsome appearance thanks to multiple coats of highly flammable paint. Nevertheless, the General Slocum passed a safety inspection in the spring of 1904. Following the fire, an investigation revealed that it was common for the inspectors to accept gifts in exchange for a good report. The fire broke out in a small storage room containing jars of lamp oil, a container of oily rags and bales of straw. 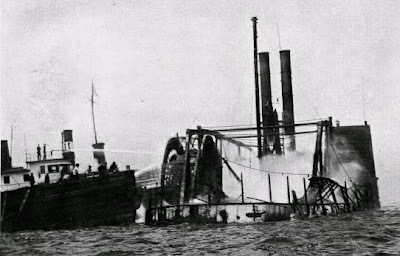 Within minutes the wooden ship was ablaze from head to stern. The rotting fire hoses burst under pressure. Those who put on life jackets and jumped overboard quickly sank and drowned. In desperation the captain attempted to ground his ship on an island in the East River. By the time he did so, it was too late. Fewer than 300 survived. Later that day husbands returned home from work to learn that they had lost their entire families. The tragedy marked the beginning of a major population shift in Manhattan’s lower east side as grieving husbands and fathers moved away, making room for a new influx of immigrants, most notably Jewish people from Eastern Europe. As I see it, the General Slocum disaster has never received the attention such a tragedy deserves. While the sinking of the Titanic in 1912 has become legendary, the loss of life in the East River was quickly forgotten. Not until 9-11 had New Yorkers experienced an event involving comparable loss of life. The likely reason for the neglect of this tragedy was that the majority of those who died were working class immigrants who were not yet considered “Americans” or New Yorkers. While an investigation documented the failure of the Knickerbocker Steamship Company to provide and maintain the mandatory safety standards in place in 1904 the families of the victims received no compensation for their loss. The ship’s captain was held responsible, convicted and imprisoned for three years. In 1934, the film Manhattan Melodrama with Clark Gable, Myrna Loy, William Powel and Mickey Rooney began with a scene of the burning General Slocum but only to set the context for the remainder of the film. It seems to me the story itself is worthy of a screenplay and producer. Thank you, Reverend Keith, Gail, for allowing me to share your writing on this fascinating bit of New York history. I recall my mother’s stories of her grandmother, born Catherine Ann Meeghan, who recounted this event to my mother as a child. Catherine Meeghan lived near little Germany, or Kleindeutschland on Manhattan’s lower East side at the turn of the century with her husband William Lee and family. 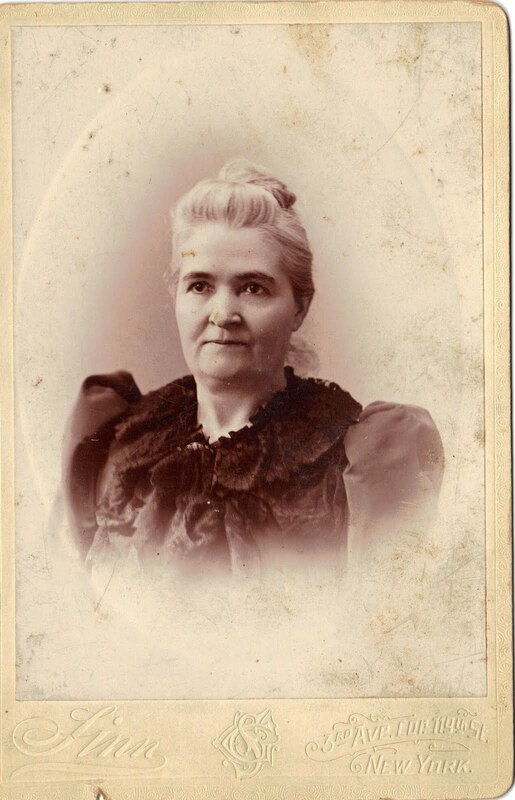 Though Irish Catholic and somewhat separated by language and culture barriers, my great-grandmother befriended many of the families who would later suffer in the tragedy. In the aftermath, she was called upon by a distraught gentleman who asked her to identify a body at the morgue —presumably his wife— because he couldn’t bring himself to do it. Hers was the sad task of affirming that his beloved wife had perished among the others. She related that most of the remaining families moved, presumably to be near Lutheran Cemetery, their loved ones’ final resting place. She told of the place the fire occurred—Hell’s gate—a turbulent and unpredictable stretch of water where the East and Hudson Rivers meet in swirls of incoming and outgoing tide. On June 18th, 154 funerals took place, and on that day, there were no Lutherans or Catholics, only neighbors held together by shared grief and a common faith in the Resurrection. Reverend Keith's Bio: Keith Boyer is a retired Presbyterian minister living in Barrie, Ontario, Canada.